The Hoka One One Speed Instict is a cushy but light and speedy trail shoe. 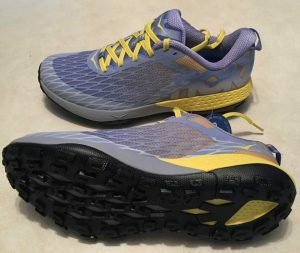 Although advertised for trail, I’ve tried them on many surfaces and found them very versatile–Greatly responsive on trails, but also solid on grass, gravel roads, and still comfortable on the occasional paved road and/or sidewalk. As you can see from the pics below, this shoe has some serious tread and they seem to handle all conditions well. I’ve taken them out in an array of conditions already (over 60 miles already at the time of this post) and they feel great. Even on wet and leafy trails, I felt totally in control with the help of these kicks. The only issue I had was during my very first run in them. In other shoes, I usually wear heel cups to give my achilles tendons relief, as I injured them many years ago. However, in these shoes, the heels are so shallow that with the heel cups in I kept feeling like my heel was going to slip out of the shoe while going up various inclines. 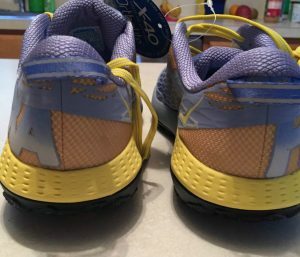 I at first thought it was just a poor fit of the shoe, but once I removed the heel cups, all other runs in them have been awesome (and my achilles have remained happy). 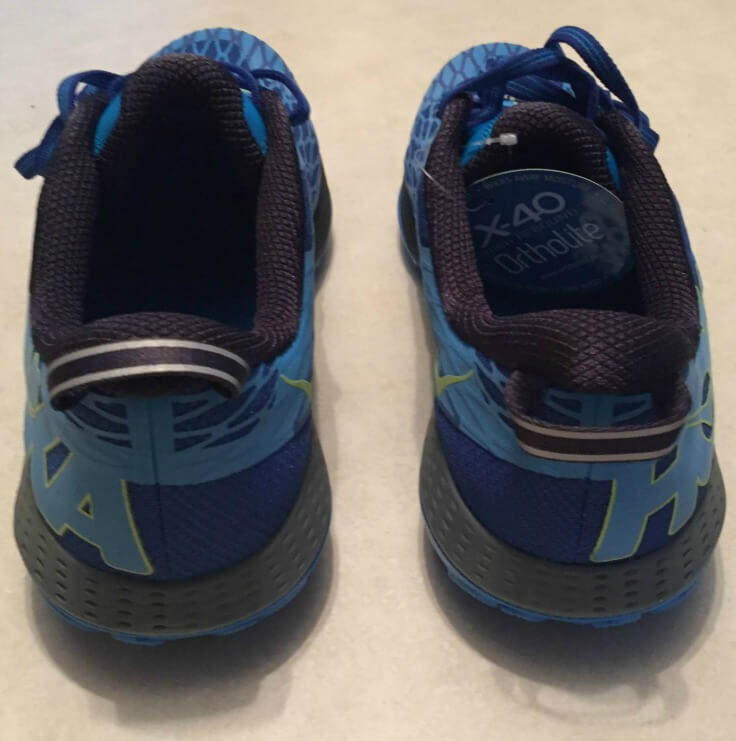 I’ve even does a few faster speed workouts in them and they continue to feel great. The Speed Instinct are supportive enough to rock out long, easy runs, but still light enough to shred some speed work in them as well. I haven’t had the chance to run an actual race, but I will as soon as I get the chance and report back! 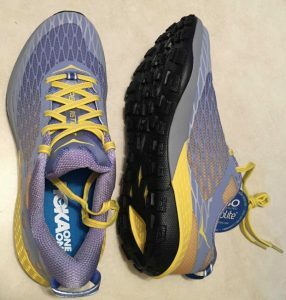 I have been wanting to try a good trail shoe for awhile. 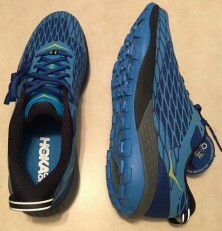 Recently I got these and I do feel a big difference on the trail compared to my everyday running shoes. I feel in control on the trails. 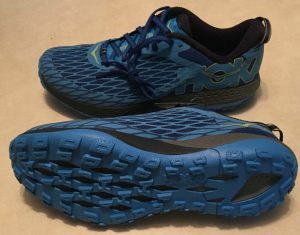 The trails I have ran in these have all been leafy and a few were wet, and I still felt in control and I didn’t slip around. My only issue with them is that the heel feels loose. When I make the shoe very tight it feels better, but it still feels a little loose. I am sure it would be a lot better if I used the top hole for the ties, but I just never feel comfortable when I lace my shoes that high, so that is definitely something to try if you are afraid of loose shoes. I think some of it is just a feeling though because I have not gotten blisters from these shoes. I do have narrow feet, so I don’t know if that is part of the problem. 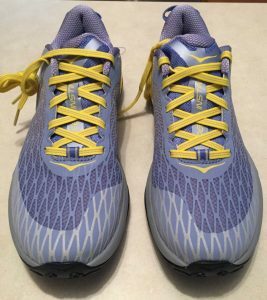 I wear the Hoka Clifton IIIs for about my normal runs on a regular basis and those don’t feel loose, so it is more just the fit of the shoe. Besides them feeling a little loose, I really enjoy these shoes on the trails. 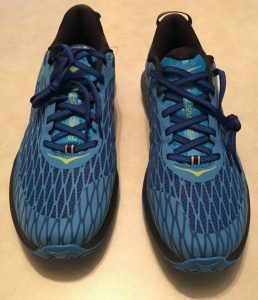 They are aggressive trail shoes, which has been nice for fall trail runs in the Midwest.